text to pdf, txt to pdf, rtf to pdf, word to pdf, doc to pdf, docx to pdf, docm to pdf, word pdf convu to convert hundreds of windows printable documents, such as word (doc,docx,docm), txt etc to searchable pdf (as default format, as image format)document. Advanced Word to Pdf Converter supports the fast, affordable way to create professional-quality documents in the popular PDF file format. Its easy-to-use interface only allows you to create PDF files by simply click the "Convert" button. It accurately retains the layout of the original document file. 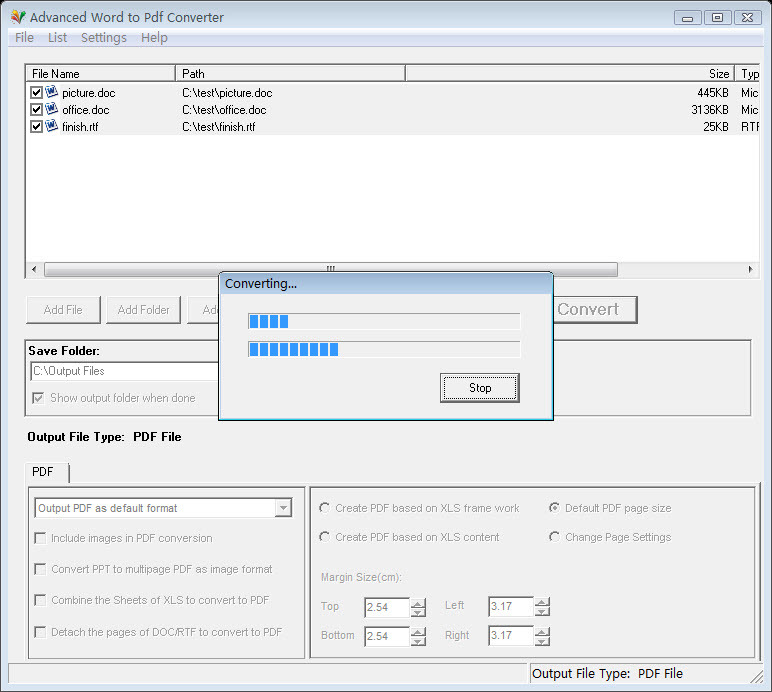 efault format, as image format)document.The converter can be used as a PDF writer or PDF creator from multiple applications as soon as it supports printing.